We have another special needs kitty in our dear Kassie! Her story is a sad one. Kassie is about 5.5 years old now. At the time of her rescue, kids were throwing stones at her. 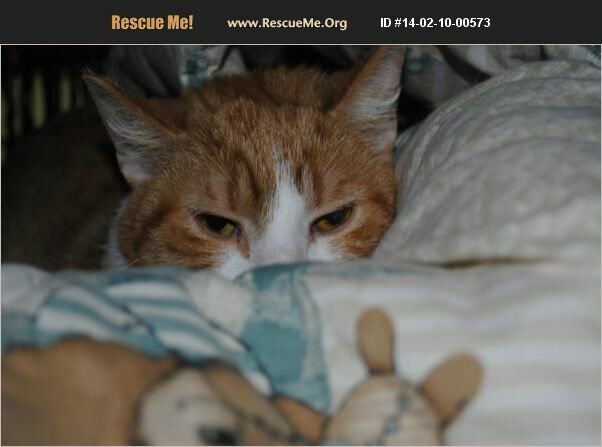 Kassie is cautious and very timid, but through it all still loves people. She doesn't feel safe around other animals right now, therefore, is not doing well in our rescue setting. She is living her days hiding in a box in a cage. This is breaking our hearts! We need to find that special person for her. Please help! Kassie needs a special home where she can be snuggled and pampered to help her feel safe. When away from other animals, Kassie will come out and even play. As the sole animal in a home, we are quite certain she'll flourish quickly. We would even be happy to find a foster home where sweet, frightened Kassie can be nurtured.